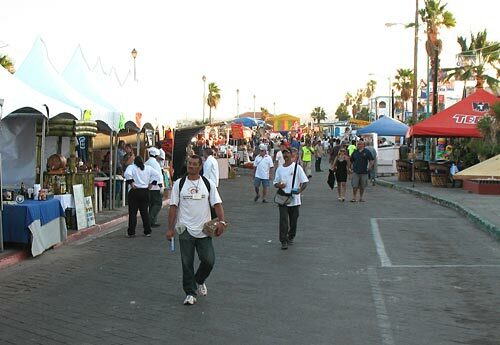 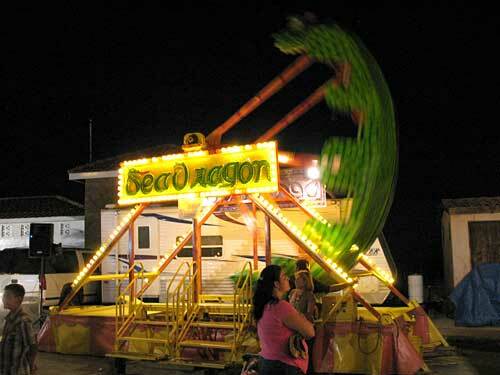 Over the years the Shrimp Festival has gradually evolved into an evening event. 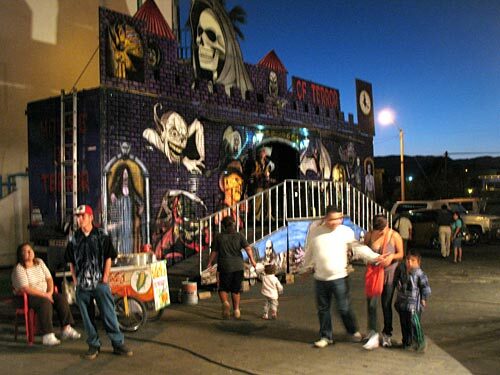 This year, November 7, 2009, people were more savy and began showing up at dusk. 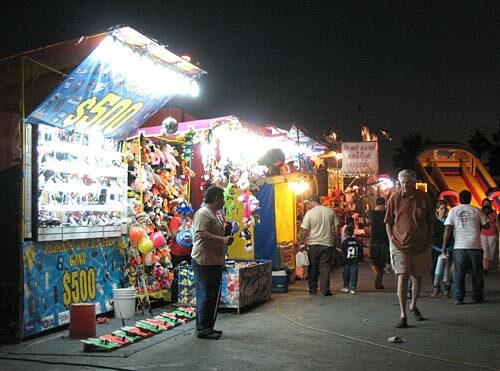 There's something about an incandescent halo around a festival venue that somehow makes it more inviting. 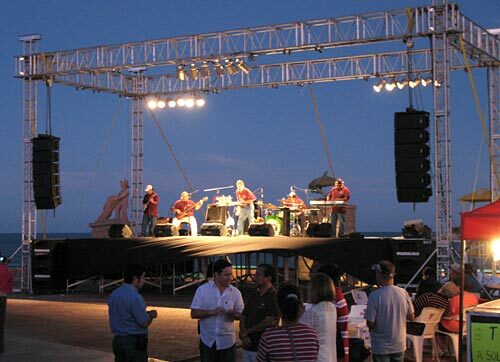 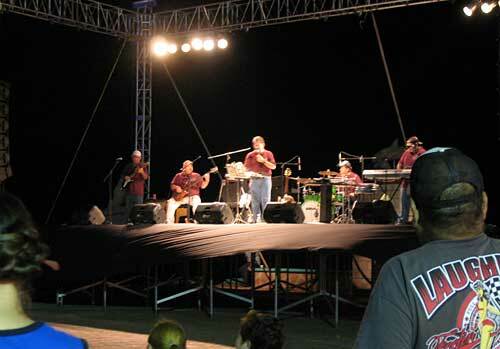 The music was great and the Malecon hosted dancers enjoying the Classic Rock tunes of the band. 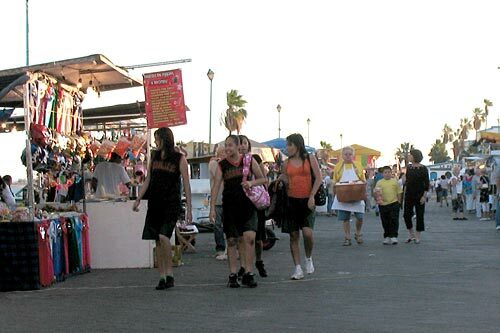 The Cortez side of the street wore a wide range of venues. 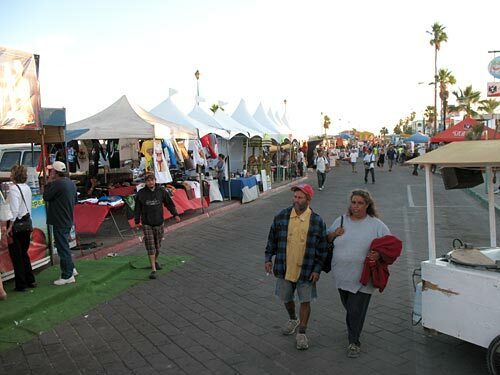 There were the usual hat, blanket and T-shirt vendors. 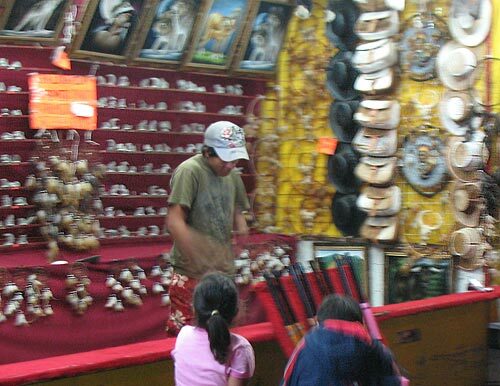 Some crafts people had small pavlions displaying their wares. 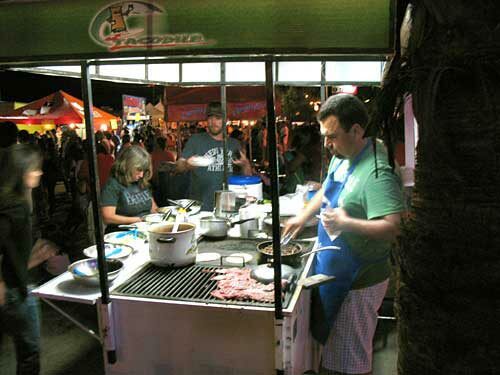 The Cortez Motel set up a sidewalk eatery. 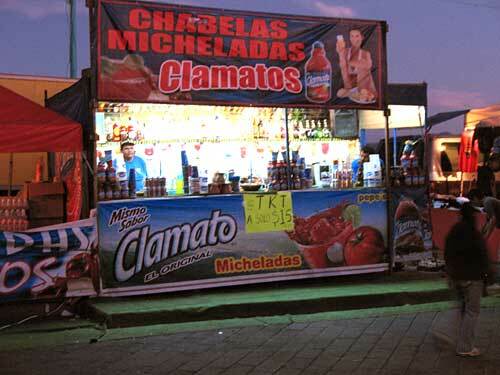 There were, of course, impuestas and sit-down dining emplacements dedicated to the festival's namesake. 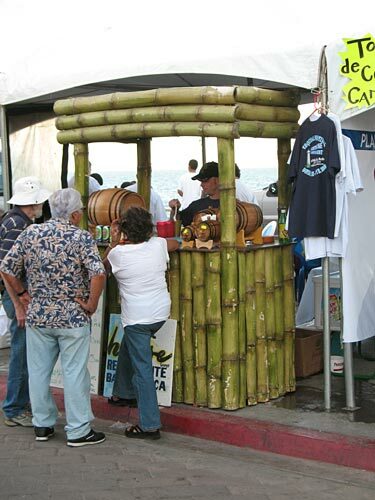 There were also places to savor samples of tequila or rum. 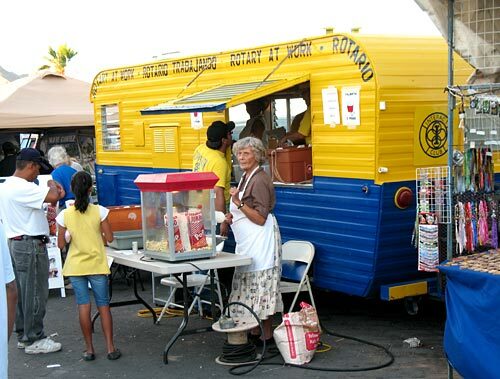 The Rotary Club had their popcorn-making trailer available for anyone who felt antsy walking through fairgrounds without a bag of popcorn in their hands. 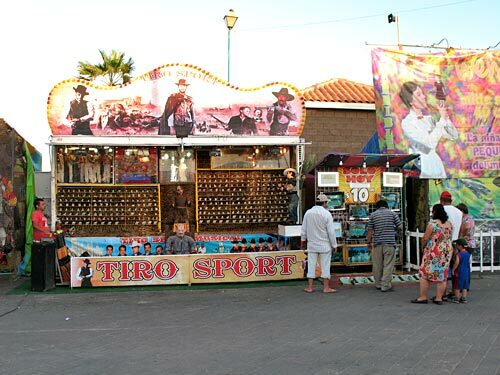 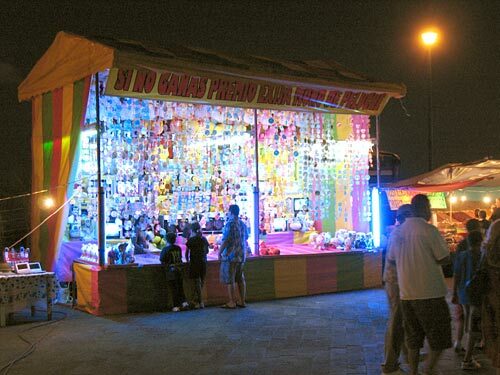 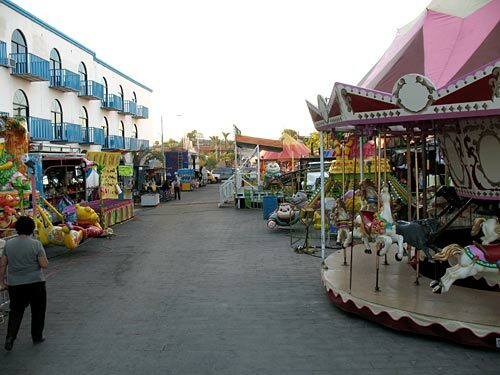 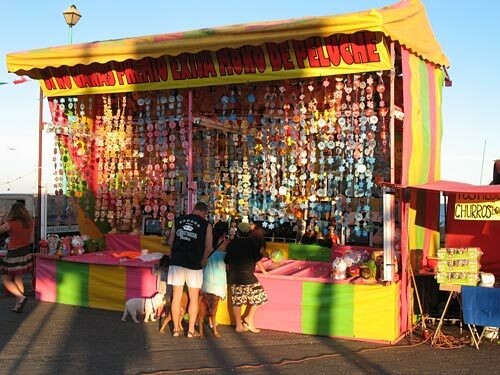 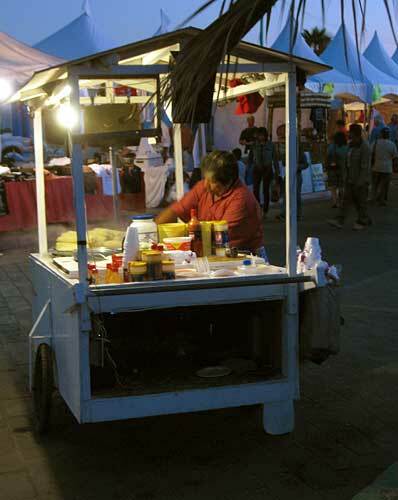 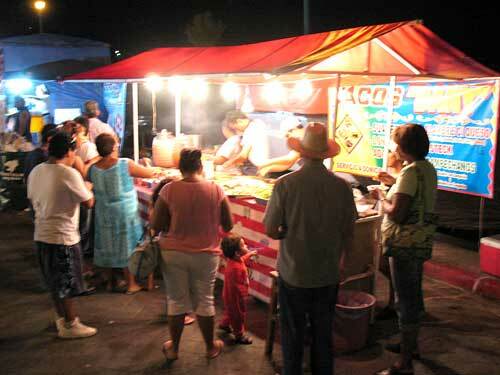 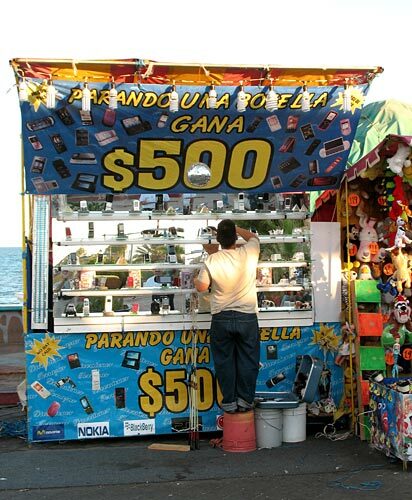 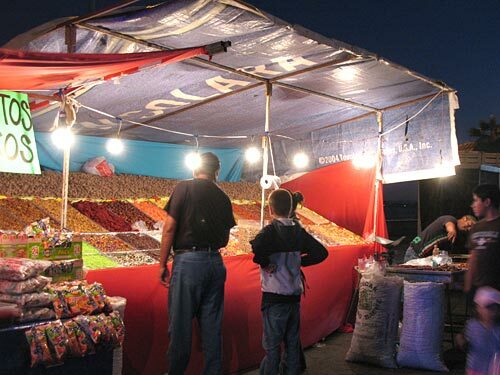 Further south on the Malecon were the kiosks dedicated to several games of chance (all of the FAT variety). 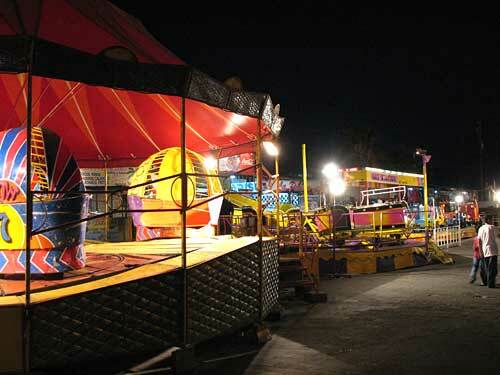 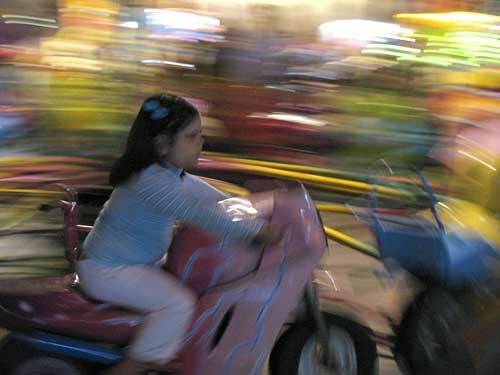 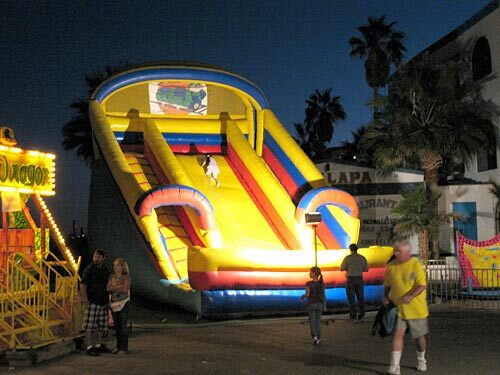 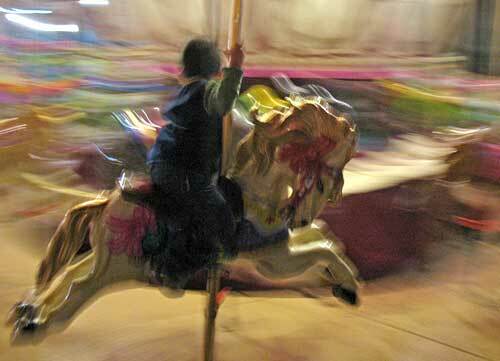 And then finally the fair rides for the children, with a haunted house thrown in for the more stalwart youngsters. 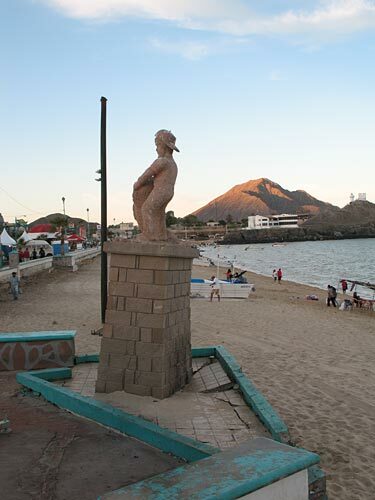 The north end of the Malecon seemed to be the real estate of the real estate people. 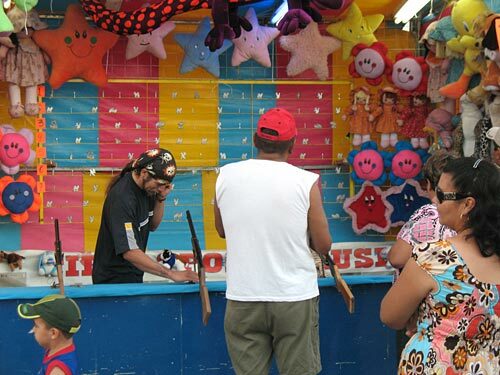 Looking lean and hungry, they practised arm flourishes in front of paintings and posters of their various idealized developments. 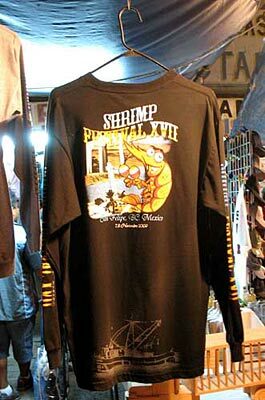 The Shrimp Festival ends on Monday so make an appearance. 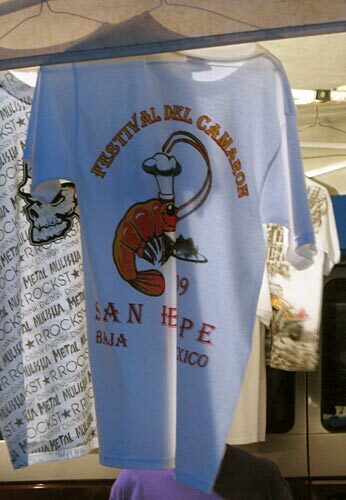 It is a San Felipe tradition that goes back seventeen years.